During the NAMM Show, Orange Amplification has introduced the ‘O’ Edition Headphones. After the Bax Bangeetar released last year, Orange introduce two new pedals: the Amp Detonator Buffered AB-Y and the Two Stroke Boost EQ. From the NAMM, Orange Amplification has launched the 10th Anniversary Limited Edition of its Tiny Terror half stack. After launching their analogue OB1 Series of bass amp heads at last year’s NAMM, Orange Amps now introduces the OB1-300 Combo. Orange... Amps? Not only now: Orange has presented the O Bass, a 4-string electric instrument available in three different finishes - not only orange. Orange presents the 4 Stroke 300 & 500, two complete bass amp heads in a 2U rackmountable format. Orange introduces the Micro Dark, a single-channel, valve hybrid compact amp head for guitars. 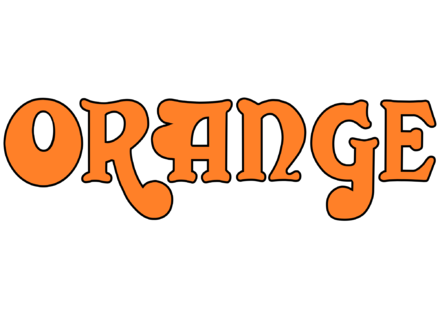 Orange Amps will launch on October 1st a brand new product and will offer 5 units to lucky winners. Orange Amps unveils at Musikmesse the third generation of its Rockerverb guitar amps, wich features three 50W and 100W heads and a 50W combo. Musikmesse 2015 sees the return of pedals in the Orange Amps catalog, with the new Bax Bangeetar preamp and direct recording model.